Updated as of May 2017 with a few recipe tweaks, and some fresh new photography - and still one of our very favorites. Enjoy! 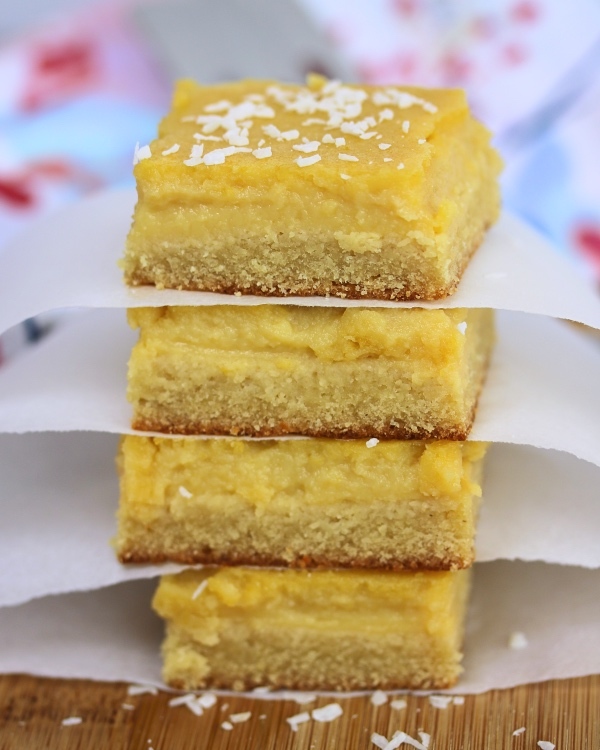 Since starting my blog, lemon bars have been at the top of my request list for sugary treats to "Paleofy". I've tested out a few healthy recipes in the past (my favorites were from Lindsay over at Delighted Momma); but, to be honest... I just felt like they were all too difficult to make as often as I wanted to. Now, I love baking and cooking, and especially eating; so I am usually happy to put in a little extra effort in the name of a really tasty treat. Unfortunately, I kept finding myself getting way too frustrated (I have perfectionism issues) over bits of egg pieces in the filling, constant whisking over a hot stove for 20 minutes, dealing with the food processor, time-consuming crusts, etc. 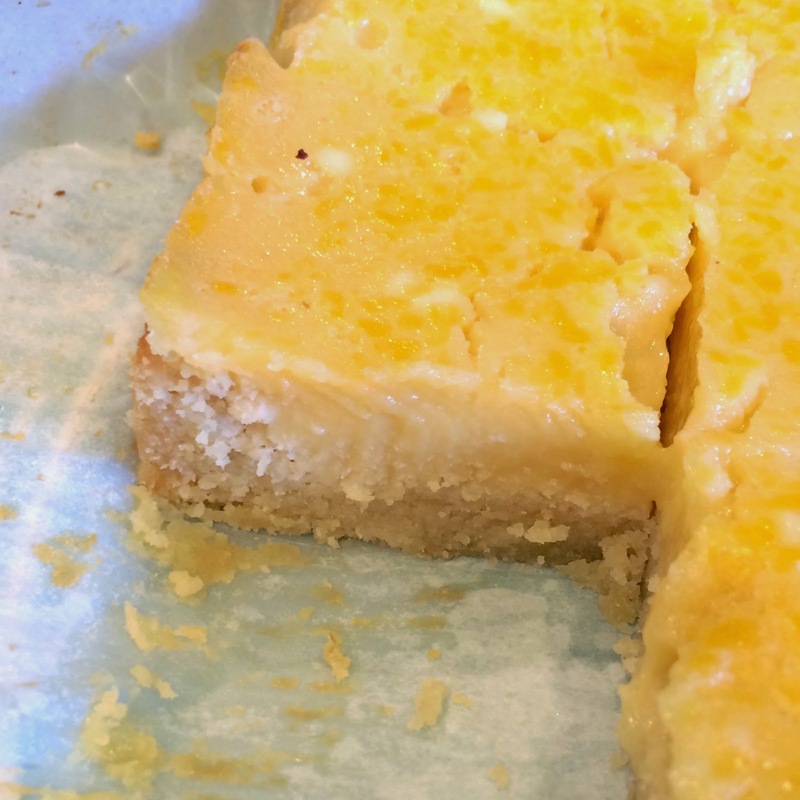 So, I did my research, saved up some patience, gave it a couple of trial runs, and ended up with what I swear must be the perfect lemon bar-- Paleo or not! These are the perfect blend of sweet and tart, with a smooth & creamy lemon filling and a sweet, crisp crust. 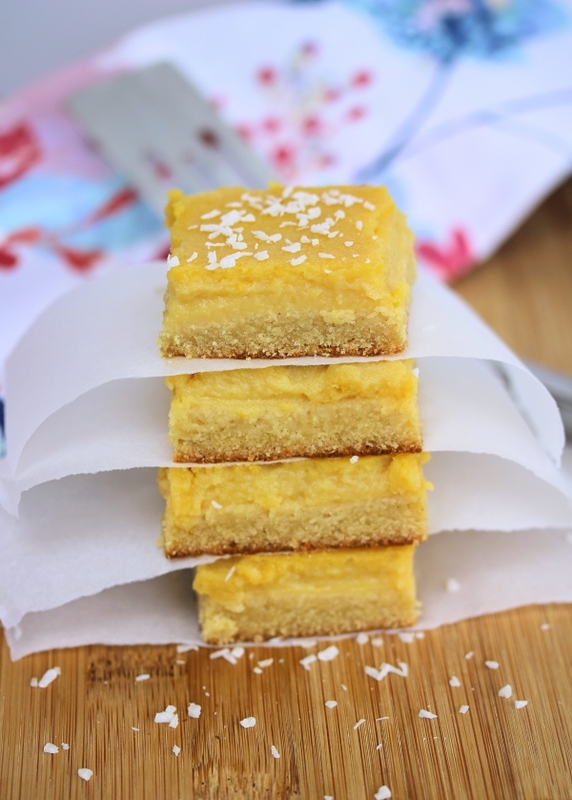 I do not miss any of the flour or powdered sugar that you'd find in a typical lemon bar. These are just perfect, and I love not feeling guilty if I eat one too many! I also love using parchment paper to keep the mess to a minimum-- no sticking to the pan! 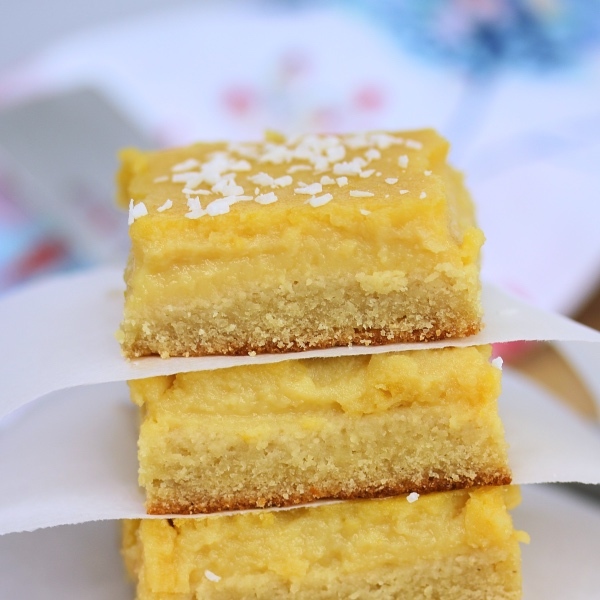 I hope you love these lemon bars as much as my family & I do! Let me know if you try them out. I made them for Mother's Day and they were a hit. Line an 8x8" baking dish with a piece of parchment paper large enough to go up all four sides of the dish, and grease it with a small amount of ghee or cooking spray. Mix the crust ingredients in a medium sized bowl. Transfer the dough to the lined baking dish, pressing evenly into the bottom of the baking dish & pinching up the sides just a bit to hold in the filling. Bake for 10 minutes, then remove from the oven. In the meantime, work on the filling! Combine the filling ingredients in a blender, pulsing until smooth. Pour the filling over top of the partially baked crust, and place in the oven to bake for an additional 25 minutes (until the center is set but jiggles just slightly). Allow the bars to cool, then refrigerate until chilled. 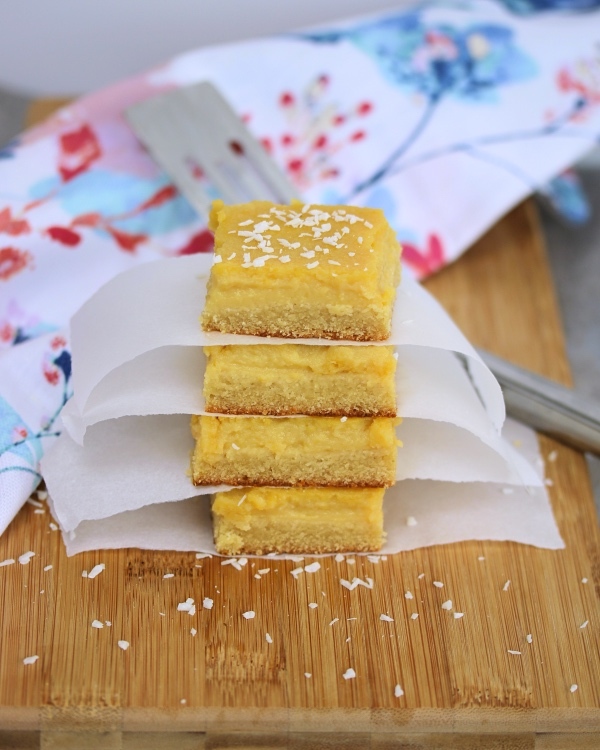 Lift onto a cutting board using the sides of the parchment paper, and slice into squares. Enjoy! P.S.~ Happy Mother's Day to all of the incredible women out there who make this world go 'round. 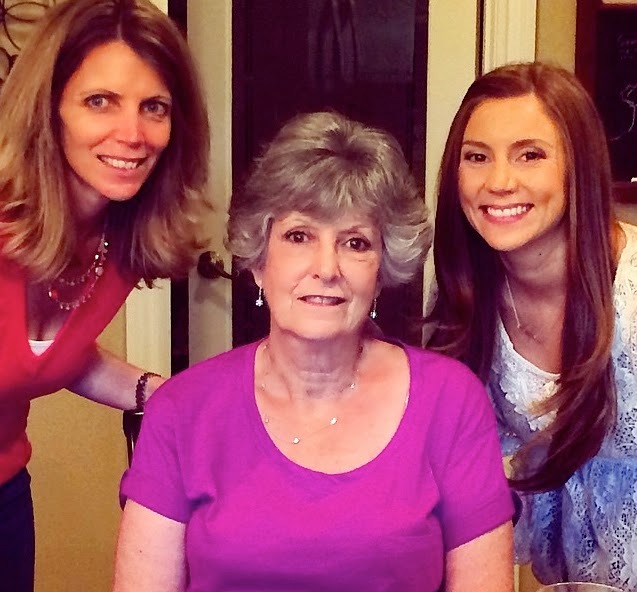 I don't know who or where I would be without the two most important ladies in my life: mom & grandma. I hope you all had a wonderful day spent either with or in memory of the women who mean most to you. not sure if you will see this in time, but once they are chilled in the Refrigerator, can you keep them out? We have a cute dome that I wanted to keep them in!